Our product range includes a wide range of stainless steel wire netting. 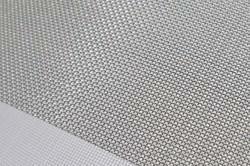 We are among the masters in the domain as the manufacturer and exporter of Stainless Steel Wire Netting. The product has been applauded across the globe for being durable and exceptional in tensile strength. It is resistant to corrosion, which makes it ideal for using in gardens and fields.